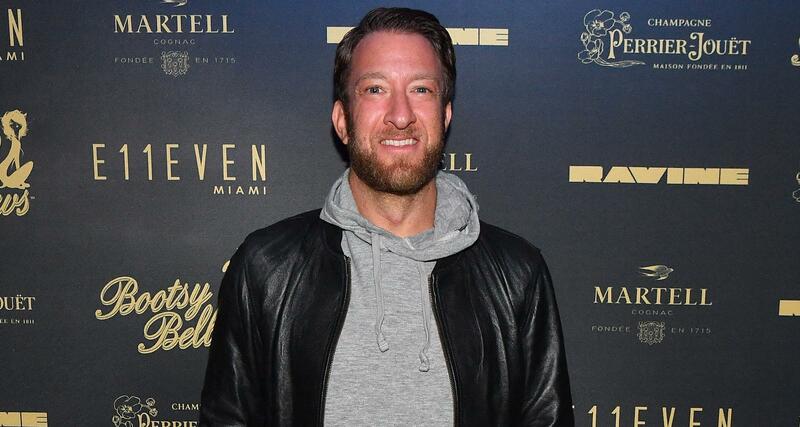 Barstool Sports president Dave Portnoy and his wife, Renee Portnoy, separated in 2017. Even so, Renee Portnoy will forever be the First Lady of Barstool nation. Our Renee Portnoy wiki turns the spotlight on Dave Portnoy’s ex-wife and her marvelous work. Born Renee Satterthwaite, she hails from Abington, Massachusetts. She celebrates her birthday on May 5, although her age is unclear. She and Dave were engaged in 2008 and tied the knot in 2009. From her past social media posts, it appears that they were together even before the inception of Barstool Sports. Since Dave “El Pres” Portnoy rose to viral fame with Barstool Sports, Renee Portnoy was dubbed the First Lady of the Barstool Sports online community. Renee kept a low profile while her husband was ascending to media mogul status. Her only outspoken moment in the media was when she was a guest on KFC Radio’s #Mailtime. However, in late 2016, Dave was seen cozying up to a woman who was not Renee. With speculation surrounding his marriage, Dave took to his blog to set the record straight. He shocked his followers in January 2017 when he announced that he and Renee had separated. It’s unclear whether they are in the middle of divorce proceedings. In the same blog post, he indicated that they parted amicably and were on good terms. He also said that he was dating another woman, later identified as Jordyn Hamilton, after splitting from his wife and defended his girlfriend at that time. But not long after announcing his and his wife’s separation, Dave took to his blog again—this time to slam Jordyn Hamilton for allegedly cheating on him with her SoulCycle instructor. His entire rant turned into a vicious cyberbullying attack on his now ex-girlfriend, the SoulCycle instructor, and SoulCycle itself. Meanwhile, Dave’s ex-wife is spending her time in Nantucket, where the Portnoys bought a $2.0 million home back in 2016. She still goes by Renee Portnoy and her Instagram followers continue to hail her as their First Lady. Renee Portnoy works as an equine buyer at Smart Pak, a company that provides horse supplies and equine supplements. After graduating from Boston University with a BS in international relations and business, she started her job at Smart Pak in 2010. She first began as a senior buyer and is currently the director of merchandising. Her work at Smart Pak is nothing short of her dream job. She not only spends a large part of her days with horses, but she also contributes to the company’s products. Portnoy’s job ties in well with her lifelong equestrian passion. She has been riding ponies and horses since she was eight years old. She wasn’t even discouraged when a pony threw her off and kicked her mid-air. Dave Portnoy ventured into horse racing a few years ago and owns several horses. He and Renee used to go to the Kentucky Derby together. Now that they’re separated, Renee still goes to the Kentucky Derby and other equestrian events. With Dave’s encouragement, she got into competitive riding and continues to show horses today. She occasionally participates in equestrian events and shares pictures on Instagram. Both Renee and Dave share a love for canines. Renee continues to devote her time to rescue furbabies these days. A big advocate for adopting pets instead of buying them, she aids the efforts of the Nantucket Island Safe Harbor for Animals, a local animal shelter. She provides foster homes for rescue dogs before they find a forever family. She also raises money for animal shelters.